BUKIT LANJAN: Stop blabbering, get down to work, what’s there to be proud of Proton? It looks like it is still business as usual at Proton led by DRB-Hicom Bhd group managing director Syed Faisal Albar. Instead of getting down to work to clean up its own house, Syed Faisal continues to syiok sendiri (self glorifying), blabbering away that “Proton is still a national brand” despite the selling of a 49.9% stake of Proton Holdings Bhd to a China-based company. “Really, what is Syed Faisal so proud of? 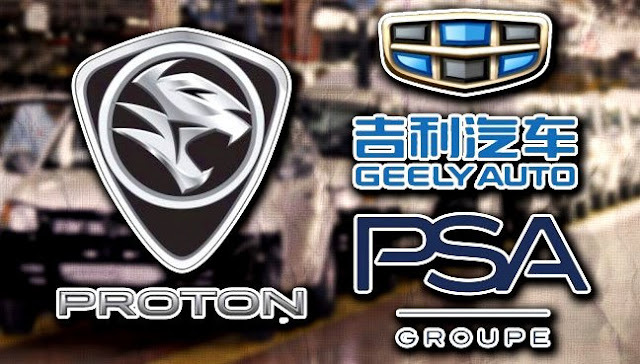 From a 100% Malaysian-owned outfit, Proton is now set (pending the inking of the sale) to become a joint-venture (JV) with China’s Zhejiang Geely Holding Group Co.
“What Malaysian national brand is Syed Faisal blabbering about? Jangan syiok sendiri,” Gerakan Deputy Speaker Syed Abdul Razak Alsagoff said. He said it would do well for Syed Faisal to remain humble and “get down to work to help clean up the Proton house to save the JV”. 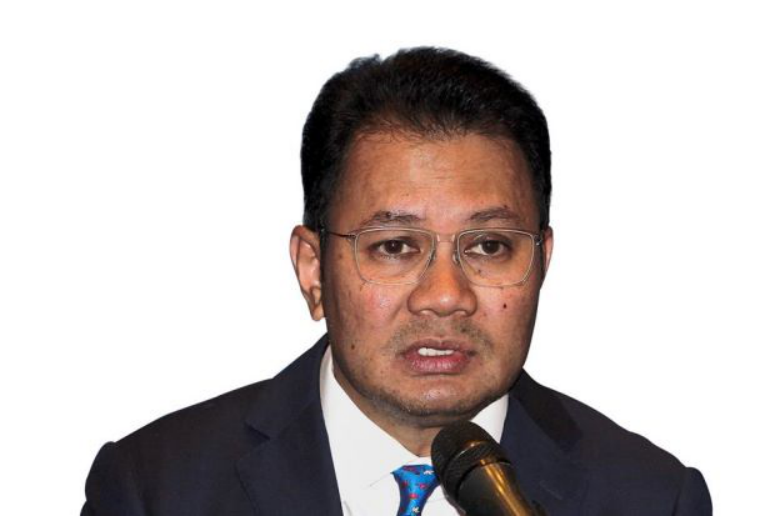 “Syed Faisal, blabbering and syiok sendiri will get you and the JV nowhere. And I am pretty sure Geely is not prepared to accept your syiok sendiri antics and bragging,” he added. 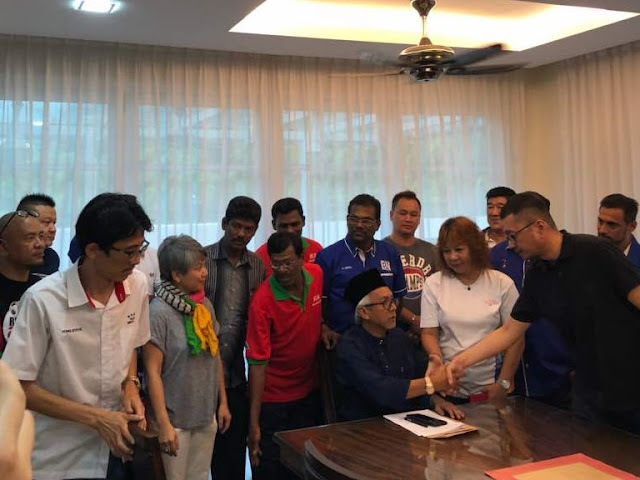 Syed Razak, who is Gerakan’s nominee to contest N.37 Bukit Lanjan in the coming 14th General Election (GE14), said “it is without doubt that Geely will naturally overhaul the JV management to make it lean and highly competent and productive”. “It will also likely want to get rid of the excess baggage and unproductive staff, senior officials and sub-standard contractors and suppliers.” he added. “So, Syed Faisal, get down to real hard work and earn your keep. 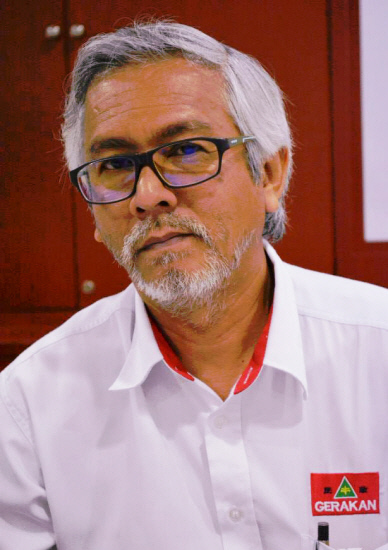 Help identify the productive staff, get rid of the real excess garbage to ensure the success of the JV or Proton,” Syed Razak said. PETALING JAYA: The selling of a 49.9% stake of Proton Holdings Bhd to a China-based company does not equate to a sell-out, said DRB-Hicom Bhd group managing director Datuk Seri Syed Faisal Albar. 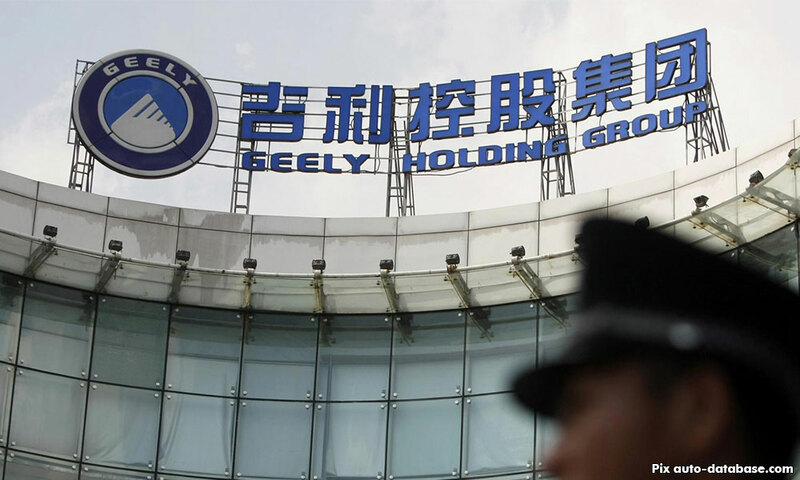 The sale of the stake to Zhejiang Geely Holding Group Co should not be seen as that because Proton is a private entity, he said. The acquisition of Proton by DRB-Hicom in 2012 from Khazanah Nasional Bhd, said Syed Faisal, was an “outright purchase”, and the “golden share” of the Government was removed then. “Yes, Proton is the first national car brand by virtue of it being the first car marque that Malaysia produced back in 1985. “By the same token, DRB-Hicom retaining 50.1% equity means that we still own the majority stake and the brand remains a national brand, a national car. “But inviting Geely Holding to take up a 49.9% stake in Proton does not equate to us selling out,” said Syed Faisal in a recent question-and-answer session. On Wednesday, DRB-Hicom said it had reached an agreement for the sale of the stake. Both DRB-Hicom and Geely are expected to sign a definitive agreement in July. Geely Holding, which already owns the Volvo brand and The London Taxi Company, would be expanding its reach into the South-East Asia region through Proton. Syed Faisal said it took more than a year with “thorough analysis, site visits and detailed evaluation criteria” to look for a foreign strategic partner (FSP) that was best suited for Proton. “In short, we needed to find a partner that understood what we wanted and what we needed, and was willing to take the journey with us towards our goals and aspirations. “Pound for pound, Geely Holding was the best suitor,” he added. Syed Faisal said Geely Holding made the best partner for Proton as the former has agreed to retain the national carmaker’s nameplate and aims to reclaim the number one spot in the country. Syed Faisal said retaining the brand and wanting to be number one in the country were important considerations as Proton is a national car. He said Geely Holding embraces the requirement, similarly to how it respected the Swedish aspiration when it bought over Volvo. “In order to move fast into the market, part of the agreement is to inject a sports utility vehicle (SUV) platform into Proton and Geely Holding offered its best-selling SUV to us without batting an eyelid. “This will enable Proton to enter a new segment, and a segment that has grown tremendously over the past years,” he added. Other reasons include the commitment to grow Proton beyond Ma laysia, Proton becoming the right-hand drive manufacturing hub for Geely branded cars, Volvo cars being assembled at Proton’s Tanjung Malim plant, and Geely’s proven success in turnaround of auto companies, among others." The second finance minister says China’s Zhejiang Geely which has agreed to buy a stake in Proton will be a suitable partner to develop the national car further. PETALING JAYA: Second Finance Minister Johari Abdul Ghani has defended the new partnership between DRB-Hicom Bhd and China’s Zhejiang Geely Holding Group over Proton, calling it a strategic cooperation to prevent the national car from meeting the same fate as collapsed steel manufacturer Perwaja. He said the government had tried to develop the iron and steel industries through Perwaja Holdings Bhd but the company ceased operating due to management problems in the 1990s. “The government did a lot to help but Perwaja eventually closed shop. Many workers lost their jobs there as the factory was no longer operational,” he said. “We certainly do not want the same for Proton. I want to stress that we do not want its fate to be that of Perwaja’s,” he added. He said he understood the sentiments of former prime minister Dr Mahathir Mohamad who expressed disappointment at Proton’s partial takeover by Zhejiang Geely, but added that the Chinese company was now an important strategic partner that could advance Proton’s stature. On May 25, Mahathir bemoaned the agreement for a 49.9% sale of Proton Holdings Bhd to Zhejiang Geely the day before. Zhejiang Geely also agreed to buy a 51% stake in Lotus Cars from DRB-Hicom. Mahathir said the sale of Proton, which he described as a national icon, was but the beginning of many Malaysian assets, including land, being sold off to foreigners. 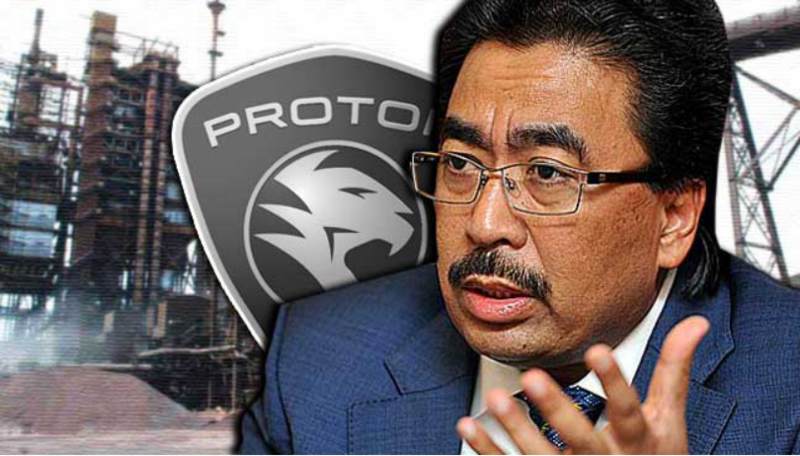 Johari however questioned why critics of the deal were not proud of Proton. “In my opinion all parties should support the cooperation because Geely has saved Proton from becoming another Perwaja,” he said. In an interview published in Utusan Malaysia today, he said there would be a great deal of difficulty if such a situation arose and more workers lost their jobs. Proton, which was set up in 1983 as the country’s first national automobile company, has been riddled with financial problems over the last few years despite benefiting from government aid. In 2001, Proton commanded as much as 53% of the local market share but this plunged to 14% last year as more buyers opted for imported cars as complaints on the quality of Proton cars prevailed. Johari said under the current scenario 50.1% of Proton’s ownership was in Malaysian hands. He also asked what was wrong if the company succeeded in thriving at the international level with such an arrangement. He said if Perusahaan Otomobil Kedua Sendirian Berhad, which manufactures Perodua vehicles, could collaborate with Japanese company Daihatsu Motor Co Ltd, there was no reason why Proton could not do the same with Zhejiang Geely. “This is a normal practice in business,” he said. He also gave his assurance that the Proton name would be maintained, as has been stipulated in the agreement between DRB-Hicom and Zhejiang Geely. “This was among the points of the agreement. Furthermore, DRB-Hicom is the majority shareholder and has deciding power in the relationship,” he said. Perwaja was formed in 1982 during Mahathir’s tenure as prime minister with a paid-up capital of RM250 million. However, by the end of 1986 it had raked up losses of up to RM131 million, reportedly due to management problems and the appreciation of the yen. The company was later revived but was forced to shut down its factory operations in Kemaman, laying off 1,500 workers in the process, in 2013." First thing to do is to ship out the overpayed Syed Faisal and his coterie of contamination. They never really saw the blinking lights at the end of the tunnel. Sorry to say Syed Mokhtar has been handed a lot of heavyweight gravy on his plate. It's time to wash the dishes and put them aside. The cutlery that has been used has seen its time. Self Glorification Is An Utter Disgust. Start cleaning up your desks and it should start from the top executives.